Problem: You have a WordPress website on WP Engine and your site isn’t secure using HTTPS protocol. 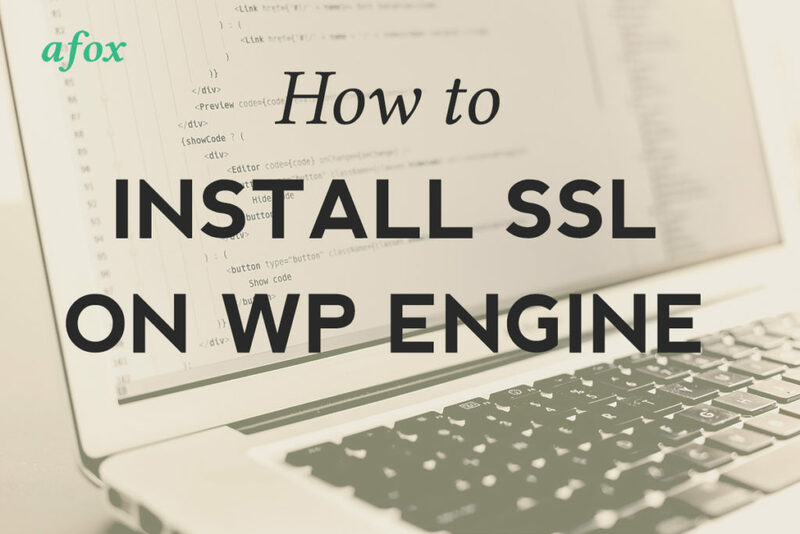 So how to install an SSL certificate on WP engine? Solution: Within a few clicks, you’ll have secured your URLs in a few minutes, with what normally is a process that would take at least an hour+ if you had to do this manually. Installing SSL certificates on web servers is the bane of my existence. I can’t stand the task, mostly because I hate being in command line (CLI), moving to various folders, uploading files using rsync or other methods. And once you got everything right, you needed to restart apache and be on your way. I actually still do this for a few websites If you don’t know anything about linux server management, that process isn’t for you. But the good news is, companies like WP Engine have automated this process with a service called Let’s Encrypt, which offers free SSL certificates. 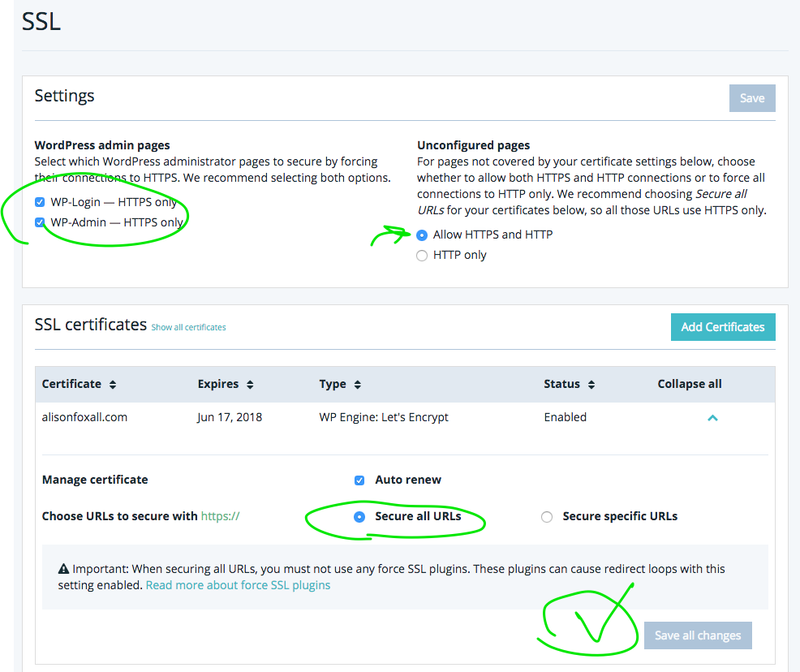 First, on your install on the WP Engine Dashboard (not the WordPress dashboard), go to the SSL link and click the “Add Certificates” button. Second, click the “Get FREE Certificates” on the next screen. Why purchase an SSL certificate vs getting a free one? You might be wondering why in the world would you pay for one if there is one for free. There are a variety of options that might be better suited for other companies. For your needs, it’s probably best you get the basic free certificate rather than a paid one. A wildcard certificate covers multiple subdomains. For example, if you have various sites like cats.mydomain.com and dogs.mydomain.com, these are technically two domains that need to be secured with separate certificates. A wildcard SSL certificate will handle all subdomains on your main domain. You also might need an SSL certificate that also confirms your identity. These certificates will need more documentation on your end that you are you. They’ll ask for forms of government identification for your or your company. The point of it is to have your company name where “Secure” normally would be in most browsers, like above. Finally, on the last step, check your domain off, agree to the terms and conditions, and click the big button that says “Request SSL Certificate“. Once you save all changes, you’ll be up and running with SSL in no time. This process literally takes about 2 minutes. If you were logged into WordPress, after it’s implemented, your session will end and it will ask you to log in again. Be sure to make sure you change your blog address in settings to https rather than HTTP. 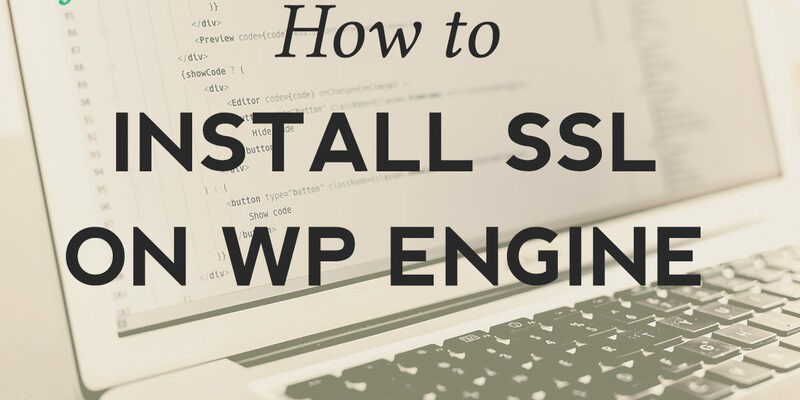 As always, if you have questions, get WP Engine on the support line. They are the best! I cannot recommend WP Engine enough! Things like this make all of our lives easier.